As a coach, I strongly believe that all athletes should strive to improve their hand-eye coordination. Unfortunately, very few take the time to challenge their coordination with new or different drills. It is much more common for athletes to seek improvements in other physical qualities such as strength and power. As I’ve said before, we currently live in what could be described as the strength and conditioning era. Never before has so much time been directed towards improving an athlete’s strength, power, and endurance. Yet, while it’s certainly useful to become stronger and more enduring, a more coordinated athlete can better apply these physical attributes. An athlete who lacks coordination will always be limited. With that in mind, it only makes sense to actively work to improve hand-eye coordination. Don’t just take my word for it though. In the videos that follow, you will see three world class athletes who make a point to challenge and enhance their hand-eye coordination. 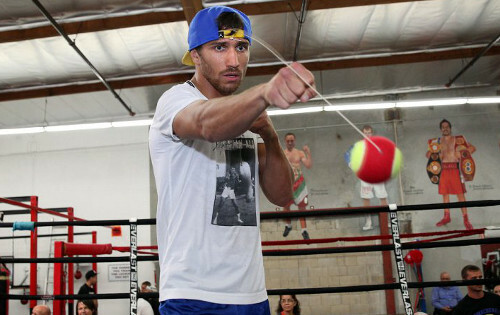 First, you will see world champion Vasyl Lomachenko show off his juggling skills with three tennis balls. As you can see, you don’t need anything fancy to improve hand-eye coordination. Next, you will see fellow world champion Guillermo Rigondeaux perform a tracking drill where he must move and quickly catch a ball that is tossed by his trainer. Once again, no fancy equipment is needed to challenge this world class athlete. Lastly, you’ll see an old video of former world champion Anderson Silva. Once again, nothing but a ball is required to perform this challenging and effective drill. Whenever I discuss hand-eye coordination drills, my inbox typically fills with questions related to actual sport practice. For example, I’m often asked why an athlete wouldn’t just spend more time practicing his sport as opposed to performing hand-eye coordination drills. The answer to that question is quite simple however. There’s only so much time that you can spend practicing or performing a sport before you run yourself into the ground. Boxing offers a prime example. There’s only so many rounds that you can spar before your body begins breaking down. Therefore, rather than simply practicing the sport, we can supplement our training with some brief hand-eye coordination drills. 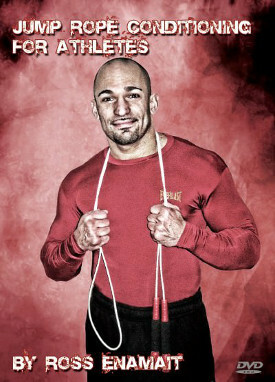 Such drills are not physically taxing, thus can be practiced regularly without interfering with your primary training. Those who are familiar with this blog have likely seen me discuss hand-eye coordination training before. My goal with this brief entry is to simply highlight a few examples from athletes other than myself. It should also serve as a reminder that you don’t need fancy or expensive equipment to improve. Lastly, I’m certainly not suggesting that hand-eye coordination drills should take precedence over your sport training/practice. It is feasible though that you make time to perform these drills along with your primary work. If you regularly commit to a few minutes of practice each day, you’ll be surprised at the improvements that begin to accumulate over time. “We live in the strength and conditioning era…” So true. We forget coordination and mobility very often. I’ve been working hard at balance and mobility along with my S&C training for several months. Now that I’m progressing on that I need to improve on my hand-eye coordination too. This article encouraged me to take part in a short juggling workshop over the weekend. It wasn’t much, but enough of an intro to show me how to get started. I’ll be practicing regularly, as I have never juggled in my life (I’m currently 49) and have a long way to go in order to regain coordination. Thanks for the excellent insights.